Merry Christmas everyone! I spent the holiday visiting with my family. I’m so blessed that we were able to spend Christmas together! To worship, to relax and reconnect and make some new memories. Now it’s coming up to New Year’s Day. Do you make New Year resolutions? Many people do. There’s a little bit of a joke at the gym I use that you can’t find parking in January but by February everything is back to normal. That’s sad, but true. Every year we start out with the best of intentions. We’re going to eat right, lose weight, exercise. We’re going to read more and watch TV less. We’re going to stand up for ourselves and stop being such a pushover. What areas of your life could stand a makeover? Now is a great time to take a little inventory and see where your life isn’t exactly where you would like it to be. Like most people, I spend a little time pondering where I would like my New Year to be different from year just ending. I’ve come up with 4 categories of New Year resolutions to try to “steer” my life in a direction that is more purposeful and less of an “accidental” life. I’m a doctor. I spend a lot of time focusing on my and other people’s physical wellbeing. How do you feel physcially? Are you healthy? Do you need to lose weight? Do you suffer from chronic illness? If so, I guarantee that behavior change is the key to feeling your best. 90% of illness is related directly to lifestyle factors like diet, exercise, and obesity. Did Santa bring you an activity monitor device? I love my FitBit (not an endorsement, I just like using mine) and find it satisfying to meet my step count goal for the day. You can’t improve what you don’t measure, right? Logging and gradually increasing your step count is a great way to shoehorn more exercise into the day. Will you learn to play a new sport like tennis or soccer? Will you study a martial art? Will you try a new fitness class like Zumba or spinning? Will you watch your diet? MyFitnessPal is a great, easy-to-use app for the iPhone and Android devices that has an enormous food database. You can see if you’re getting enough protein and fiber, if you’re getting too much fat and sugar, and even your micronutrients like calcium, magnesium and vitamin D.
Will you FINALLY get your physical, bloodwork, Pap test, mammogram or colonoscopy? Routine screening tests are important for everybody and get more critical as we get older. If you’re ready to tackle your weight, please let me know, I’d love to help! Contact me via email at drjen@jenniferwurstmd.com and let’s talk! How will you help yourself be healthier emotionally in 2016? Will you see a counselor and tackle a deeply buried emotional trauma? It takes a lot of courage and honesty to let a stranger see us naked (believe me, I respect that courage very much!) but in many ways it’s more difficult to let a stranger see our emotional wounds. Will you seek out new friends that are proud of you, are supportive of you, and with whom you are happy to be the awesome and amazing YOU? How will you grow intellectually this year? Will you enroll in a class studying something that interests you? Will you spend more time reading and less time watching TV? Will you join a book club, get a subscription to a magazine or other publication that will challenge you? Will you learn a new craft you’ve always wanted to do? Pottery, knitting, cooking, painting? Will you travel and visit places you’ve never seen? See priceless works of art you’ve only seen in books or on the computer? Learn to play a musical instrument? Do you have faith? Will you seek a closer relationship with God? Do you have a goal to practice your faith more regularly? Will you pray more often and more authentically? Will you spend more time in Nature and appreciate the glory of Creation? Will you learn more about a spiritual tradition that is unfamiliar to you? There are many pathways to Truth. How will 2016 be different from 2015? If we could peek ahead to the end of December 2016, how would the YOU we see be different from the YOU that you are now? It won’t happen by accident! Think carefully about your goals, envision your perfect life, make a plan, and GO FOR IT! I believe in you! QUESTION: Will you share your New Year resolutions with me? This week I want to revisit a topic I discussed almost 2 years ago. I’d like to talk about my number-one pet peeve. This is the one thing that is guaranteed to make me have to count to ten in order to keep from blowing my stack. Clearly some folks haven’t gotten the message because I still hear this. Leftover. Antibiotics. So wrong on so many levels I hardly know where to start. There are AT LEAST 4 things wrong with taking leftover antibiotics for cold symptoms. Antibiotics ONLY help bacterial infections. There is a reason antibiotics are not over-the-counter, and that’s because it’s not always easy to tell when a cold is just a cold and when antibiotics are indicated. Pneumonia, strep throat and bacterial sinus infections need antibiotics. Colds and many cases of bronchitis do NOT benefit from antibiotics. Is it a cold or a partially treated sinus infection? When you take a day or two of antibiotics before you go to the doctor, you’ve completely mucked up our exam. Strep throat may come up negative on testing but need more antibiotics for complete therapy. You take away all my expertise by using antibiotics before coming to see me. Two days of leftover antibiotics WILL do more harm than good. There is zero percent chance that two days of antibiotics will eradicate a bacterial infection. However, the chance that you will have a side effect from the antibiotic (such as a rash, diarrhea or yeast infection) is definitely more than zero. Not to mention making your doctor’s eyes flash red and her head spin around. Why did you have leftover antibiotics in the first place?! If you are prescribed 10 days of antibiotics you need to take them all! Taking less than the entire prescription runs the risk that the infection isn’t completely gone. It also increases the risk of developing bacterial antibiotic resistance, which is no joke. If you are prescribed antibiotics for a viral infection, do yourself (AND your doctor) a favor and take them until they are gone. If your doctor needs to change the prescription to a different antibiotic, throw away the rest of the first one as soon as you’re well again. Do NOT save them. They are of no use anymore. If you get sick and are concerned about strep throat or pneumonia, get to the doctor right away. Expect cold symptoms to get worse for 3-4 days and be pretty miserable, then gradually resolve over 7-10 days (this is the normal course of a cold). Obviously if you have a high fever, severe headache, shortness of breath, or chest pain you should be seen. If you’re not sure, by all means see the doctor. That’s what we’re there for, and often we can help you feel better (with cough syrup or a steroid treatment) even if you don’t need an antibiotic. But for goodness’s sake don’t decide to get a head start and take antibiotic pills that you (or someone else) had squirreled away from last year. QUESTION: Can you think of any other reasons why someone should not take leftover antibiotics before seeing the doctor? What Happens When Life Doesn’t Have Value? With all the terrible things that have been happening in the world lately, I’ve been thinking and praying about why it is that people can kill others so easily. A group of people can plan attacks that kill over 100 innocents just out to enjoy an evening on the town or watching a sporting event or listening to music. A married couple can leave their 6-month-old baby (!!) and murder 14 people at their Christmas party. It must be because, for some people, life simply has no meaning or value. For the Muslim couple that killed 14 people in San Bernadino last week, even their OWN lives did not have value. They were willing to sacrifice their own lives in this attack and leave their daughter an orphan. The attackers in Paris felt the same. Look at the epidemic of heroin addiction happening right here in Ohio. If your life doesn’t have value, it’s easy to fall into addiction and very difficult to do the hard work to get healthy. If others’ lives don’t have value, selling drugs becomes a great way to get rich. What about the violence happening in our inner cities? Small children are being murdered in gang initiations and drive-by shootings right here in Cleveland. Young people seeking to prove that their life DOES matter to someone, to ANYONE, are willing to murder innocents for a chance to belong. Look at this picture. It’s legal in all 50 states to kill this tiny human. It’s a scientific fact that this human has never existed before in history and never will exist again. In some states killing a pregnant woman counts as two murders. Why does one unborn life matter, and the other doesn’t? In the Middle East, Christians are being murdered because they will not deny their faith. Syria’s government is killing its own citizens in a desperate bid to hang on to power, driving refugees to gamble everything in trying to get themselves and their families to safety. For those of us raising children, these cultural changes and the danger happening in our world are terrifying. 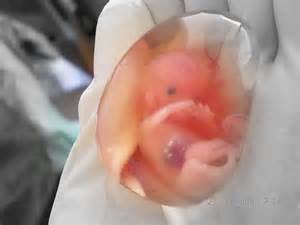 Will our children value all life? Which lives matter? Only white lives? Only American lives? Only born lives? Only human lives? The truth is that ALL lives matter. It doesn’t matter gender, race, ethnicity, nationality, religion, born vs. unborn, even species. All life is precious and is meant to be treated gently and with respect. The question is, how do we raise children that will respect life? I don’t know the answer to that question. I think it begins with talking about the question, though, opening the conversation with our children about the value of life. QUESTION: How can we make sure our kids know that all life has value? In the last 3 weeks there have been 2 terrorist attacks in the news. Unless your children are completely oblivious, it’s certain they have heard something on the news or heard adults around them talking about these events. Depending on the temperament of your child, he or she may express many emotions related to these attacks, including anxiety, sadness, anger. Many parents are uncertain about talking to children about terrorism. It can be very for adults to deal with such intense emotions. Don’t think that just because their bodies are smaller that children’s emotions are any less intense. How can we help our children understand and deal with what’s happened? The American Academy of Child and Adolescent Psychiatry has information on their website about how to talk with our children and teens about terrorism and war. Children may not be ready to talk about the topic right away. They may need time to process things they have seen and heard. When they are ready to talk, listen to them without judging and ask them questions to draw out their concerns. Remember that small (and some medium-sized) children are very concrete and their world revolves around them. Their concerns are most likely to be related to their own safety and that of family and people they know. Children who have trouble talking about their feelings may need to express them in another way. Drawing and painting are good options for them. Remember to use terms your child will understand. Give them the information that they ask for, but don’t overwhelm them with facts and figures. Being realistic and concrete with them is very helpful. For instance, reminding a small child that the doors at the school are locked and visitors have to ask to be let in can reassure her that bad guys can’t get in and hurt her. Giving a high-five to the security guard in the morning will remind her that grownups are there to protect her. It’s important to validate your child’s feelings. Telling him there’s no reason to be scared or that everything is fine will make him feel his emotions and concerns aren’t important to you. Keep your child’s routine as predictable and settled as possible. Routine is comforting for a child. Protect her from too much violent and upsetting imagery on TV. Keep inviting her to talk about her feelings and ask questions. Be aware that some children express emotional distress with physical symptoms. Headaches, stomachaches, regression, clinginess, and an unwillingness to go to school can all be signs that a child is having trouble processing upsetting events. If your child is really struggling to function normally or very bothered by physical symptoms please make sure to see his doctor. Sometimes a referral to a counselor is needed. The stress, uncertainty and anxiety brought on by the terrorist attacks of the last few weeks are not confined only to adults. As parents it is sometimes difficult to know how to handle our children’s reactions to traumatic events. By following the child’s lead, giving them information in a way they understand, letting them express themselves, and providing support we can help kids process these events in a healthy way and reassure them they are safe and loved. QUESTION: Have your children asked you questions about the recent terrorist attacks that have taken you by surprise? How did you answer them?